Did you know that dogs can have allergies just as humans can? 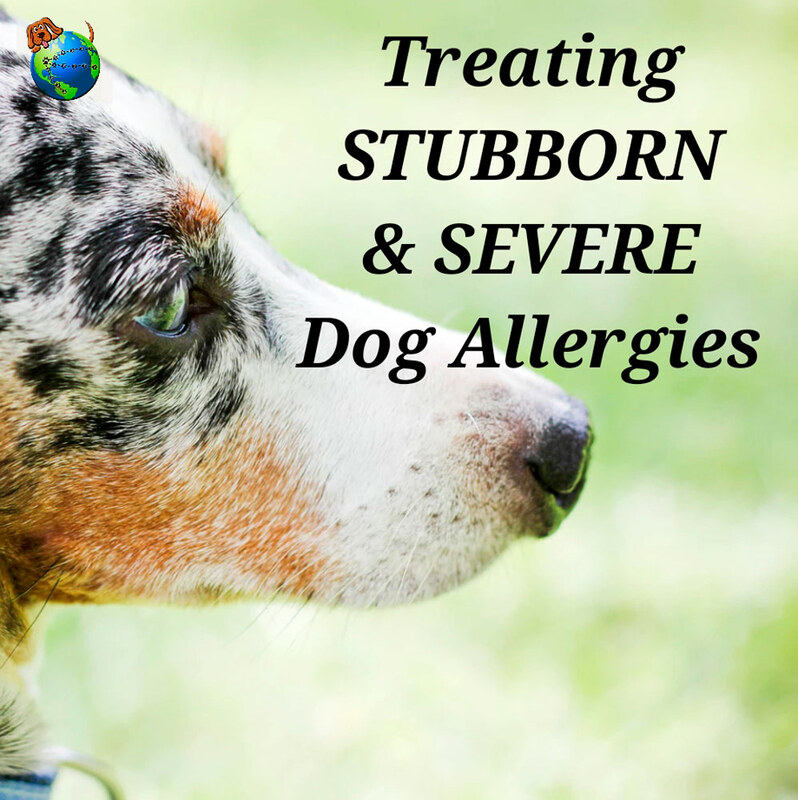 In fact, dogs can be more allergic than their humans are to certain common allergens. For example, some dogs are extremely allergic to the common mold called aspergillus, which is found in a ton of different climates throughout the world. Aspergillus can cause allergies by contact with the skin and by being inhaled. Aspergillus is made up of tiny mold spores which are commonly in the air around us. These allergies can cause really bad itching which can cause your dog to excessively scratch which can lead to sores and open wounds. Some allergens can even cause respiratory issues which can make it difficult for your dog to breathe. Luckily, there are a handful of solutions that you can test out to see if they work for your dog. Unfortunately, with many medical issues, there may be a trial and error period where you have to test out which option works best for your dog. Atopica has been shown to work for many dogs. It is a medicine that can be given to your dog in capsule form. This medicine works for skin allergies, also known as contact dermatitis. So if your dog is having respiratory allergies then this may not be the best medicine for them. If your dog occasionally has bad episodes of allergies then you may want to consider a backup form of medicine. A more aggressive form of allergy prevention is a process in which a series of allergy shots are administered to your dog over a 3 month period. These allergy shots expose your dog to the allergies that are causing issues but in a controlled manner. The unfortunate thing about this process is that your dog may have a severe reaction to any of these shots throughout the 3 month period. If this happens, you must immediately bring your dog to the vet so they can stop the reaction. The idea of exposing your dog to the allergens in this manner is so that their bodies are able to develop antibodies against these allergens. Eventually they will no longer be allergic to them or their reaction will diminish. Any sort of new medicine or experimental type of testing should be done gradually so you can keep an eye on any major allergic reactions. As always, all forms of treatment and medicine should be consulted and approved by your vet. Fortunately, once you finally get your dog’s allergies under control you can keep them at bay by giving them allergy medicine daily. Did you know that you can give dogs Benadryl? That’s right, the same Benadryl that us humans take. You can view our home remedies & medicines article we wrote on the common human medicines that can also be given to dogs. Benadryl can be cut in half or in thirds or quarters, depending on the size of your dog. The dosage all depends on how much your dog weighs. Then you can give your dog a portion of the Benadryl throughout the day. When allergies are really bad, likely in the spring and summer, a dog may need a portion of a dose of Benadryl 1 to 3 times per day. If it’s difficult for you to get your dog to take medicine multiple times throughout the day, try hiding the pill in a yummy treat or some peanut butter. Hopefully they will just gobble down the pill while they are eating their treat without even knowing it. Some dogs don’t do well with Benadryl because it is an antihistamine, which can make them lethargic. Some dogs do better with Apoquel. Apoquel targets the cause of the itch and reduces inflammation of the skin. The active ingredient is oclacitinib and it does not contain any steroids. Since this medicine does not have any of the same active ingredients as Benadryl, the two can actually be combined for optimal allergy relief. Again, please consult your vet before administering or combining any of these medicines. With all of this knowledge, the one question you may have is: “How do I know if my dog is having severe allergies?” If your dog is excessively rubbing his head and body all over everything or if he is sneezing or has watery eyes, or if he is constantly licking or biting his paws or his bum area, it is most likely that he is dealing with allergies. You can check out our article discussing seasonal dog allergies to try and hone in on a specific allergy based on the season. Please consult your vet for further examination and treatment.